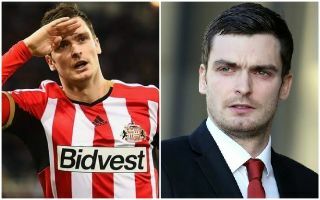 Disgraced ex-Manchester City and Sunderland star Adam Johnson is reportedly targeting a shock return to football, Johnson has just been released from prison, he served three years for engaging in sexual activity with a 15-year-old. According to The Sun, the former England international is hoping to resurrect his career within football by becoming an agent. It’s understood that Johnson has accepted the fact that he won’t ever be allowed to play in England following his crimes, but the star would rather stay in England and forge a career as an agent, whilst being near his family – than resume his playing career abroad. The Sun also sensationally revealed that during the disgraced star’s time behind bars, a number of footballers from the North East – including Everton and England No.1 Jordan Pickford – didn’t turn their backs on him. Adam Johnson made 12 appearances for England during his playing career. “A Championship or League One side would have snapped him up but no team will take him now and he’s not keen to move to somewhere like China or India because he’s already missed three years of his daughter’s childhood and been away from his friends and family. “So he’s looking at becoming an agent. He reckons once things have died down, he’ll be able to try and concentrate on that. The report from The Sun also reveals that the former Manchester City and Sunderland winger is worth an estimated £5m, should Johnson wish to become an agent he will have to register with the FA and pass an exam.